Garden furniture or some called patio furniture is one of required furniture at home, of course if the house has its own porch or even backyard. Garden furniture itself was used since many centuries ago, even as written in the Wikipedia, the oldest surviving examples of garden furniture were found in the gardens of Pompeii. Since it is type of furniture used in the outdoor, the material and finishing used as well different from indoors. Teak is one of hardwood that commonly used as garden furniture for long time ago, as its distinctive characteristic. Garden furniture made from teak is called teak garden furniture or teak patio furniture. 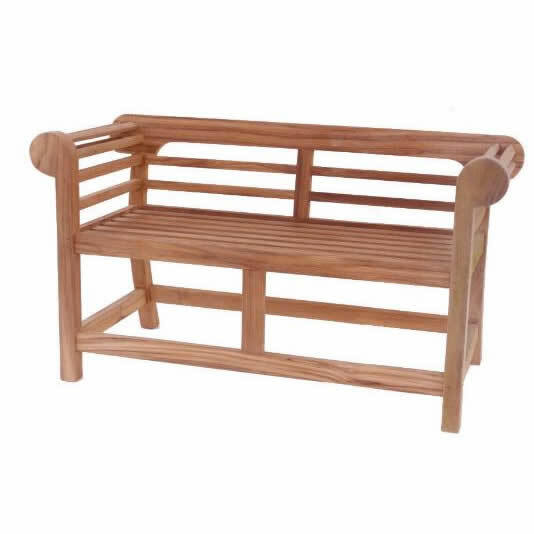 Teak garden furniture provides quality and beauty, which not provided by others. Commonly, its natural grain left unfinished to expose its distinctive beauty. Silica is a natural element found in teak wood. Silica is capable of making teak resistant to fungal decay. It is also resistant to rot because of moisture, either not easy to swell and warp, and even resistant to chemicals. Teak is also a hardwood species that is resistant to acid, alkalis even fire. Therefore why teak is suitable for outdoor, since there are certain natural oils of teak particularly for treatment, which help it withstand even to the extreme weather and the adverse effects. Therefore, teak garden furniture is the most preferred outdoor furniture throughout the ages. 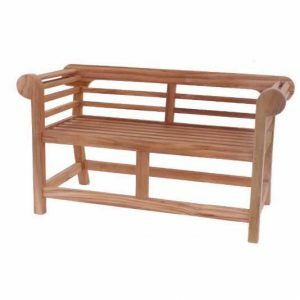 Many kinds and models of teak outdoor and teak garden furniture are offered in the furniture stores, which is ranging from the simplest one until the most up to date design of furniture. 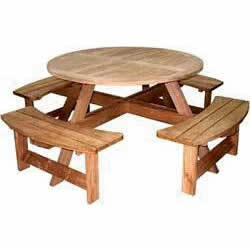 Otherwise, some teak garden furniture made in particular purposes, such as sun bed, picnic table, etc. Sun bed and lounge are commonly used in the beach or sides of swimming pool, where people love to sunbathe. What else perfect than enjoy summers on the beach. To complete your teak garden furniture sets, there are also accessories made for outdoor purposes, such as garden umbrella, planter, even glider and swing. The last one probably is everyone’s favorite, as it is a pleasurable spot in the garden or porch if a swing put on it. Garden umbrella mostly used in the backyard to provide shade from the sun, or it can be found in the restaurant or cafe that provide outdoor space. Along with the number of designs and shapes, teak outdoor and teak garden furniture as well provide in various materials, which is available in natural and synthetic. The most commonly sold garden furniture is made of wood, especially teak, aluminum, wicker and wrought iron. Wood, however, still a favorite of all, as it brings natural impression and warmth ambiance. Since teak garden furniture can be affected by changes in extreme weather, like rain, winter or excessive heat. Auliajati is one of Indonesia teak garden furniture manufacturer which is present the beauty and quality of teak gaden furniture with modern machinery. We develop various kinds and designs of teak garden furniture and an export oriented furniture manufacturer.